"Dr. Seuss' The Grinch"; "The Girl in the Spider's Web"; "Overlord"; "The Front Runner"
"Ralph Breaks the Internet"; "Creed II"; "Robin Hood"; "The Favourite"
1. "Ant-Man and the Wasp"
4. "Sicario: Day of the Soldado"
5. "Solo: A Star Wars Story"
7. "The Spy Who Dumped Me"
8. " Marvel's The Avengers: Infinity War"
Other recent favorites: "The Nightmare Before Christmas"; "Uncle Drew"; "A Quiet Place"
• There are a couple interesting documentaries coming out on the big screen this week (and presumably available through streaming/download and other ways, eventually): "The Last Race" is about a small-town stock car race track and the blue-collar folks hanging on to the tradition in the face of globalization and commercialization; "The World Before Your Feet" is about 37-year-old Matt Green and his six-year project of walking every block of every street in New York City, a distance of more than 8,000 miles. 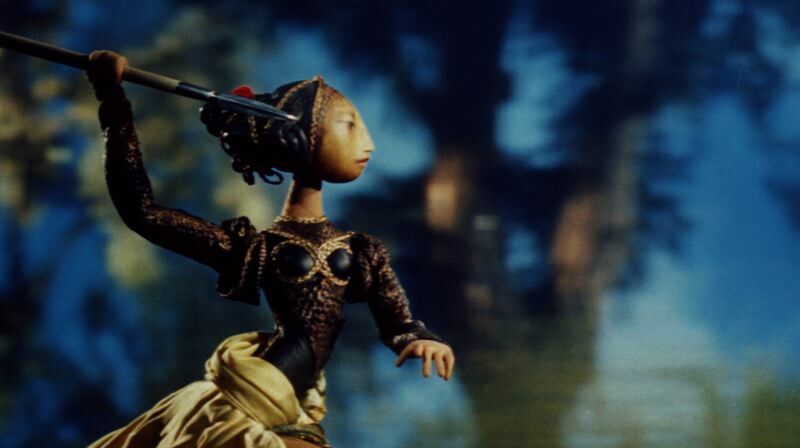 • "The Puppet Master: The Films of Jiri Trnka," by Northwest Film Center, examines the animation pioneer who used puppets. He conveyed the drama and psychology of his characters through his figures' body language, expressive lighting and camera movement. It came out of the lively Czech puppet theater tradition. A prolific artist, author and book illustrator, Trnka made films that made an impact on the development of Czech animators and inspired others. He made 18 short and six-feature length films that brought him international acclaim, and he was rivaled only by Walt Disney Studios in output. The best-of retrospective takes place Nov. 17-25 at Whitsell Auditorium, 1219 S.W. Park Ave. Tickets/more: $5-$10, www.nwfilm.org.